In another blow to the host nation of the 2020 Olympic Games, 27-year-old Hiromasa Fujimori of Japan has reportedly tested positive for a prohibited substance. 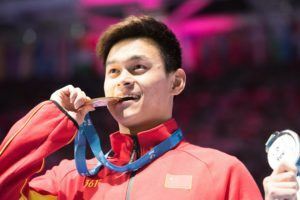 The World Anti-Doping Agency has filed an appeal in the Court of Arbitration for Sport against FINA over its decision not to reprimand Sun Yang over his now-infamous drug testing incident earlier this year. 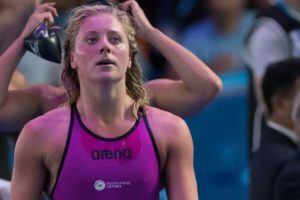 FINA will officially be withdrawing its doping case against 24-year-old Dutch swimmer Kira Toussaint, according to a statement appear in the Royal Dutch Swimming Federation’s (KNZB). 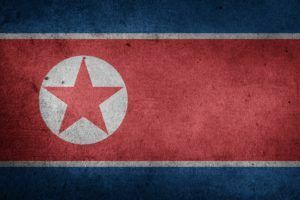 China’s anti-doping agency (CHINADA) will supervise the North Korean activities while they continue to work toward compliance. Brazilian Olympian Henrique Martins has tested positive for a banned substance, and will present his case at a doping panel hearing in Switzerland, according to Brazilian media. The 26-year-old Martins failed a surprise doping test on March 27, according to Brazil’s Globo.com. He tested positive for a substance banned by the World Anti-Doping Agency (WADA), though the specific substance is not yet known. Martins denies taking the substance, according to Globo’s report. Martins will contest a potential ban at a hearing in Switzerland, and his case should be settled within three to six months according to Globo. He is being represented by Marcelo Franklin, the well-known lawyer for the Brazilian swimming federation who has previously had success getting suspensions of Brazilian swimmers either shortened or overturned. He represented Cesar Cielo, Joao Gomes Jr and Etiene Medeiros. (You can read more about their cases here, here and here). Martins is a short course world champ for Brazil and was a finalist in the 50 fly and 4×100 medley relay at last summer’s World Championships. 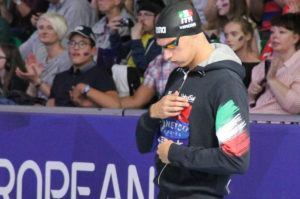 He missed qualifying for Pan Pacs earlier this year but would still be in line to swim at the South American Championships, per Globo’s reporting. There’s no evidence (that I’m aware of) that Brazil has a state-sponsored doping program. Until then, I think it makes more sense to look at each case as an individual making an individual decision. with every new case they get closer and closer to the Russia/China comparison…. China? I mean, Russia’s one thing, they’ve actually been busted recently. there will never be a state-sponsored doping in Brazil. Swimming is too small for even someone to care. Negligence? There’s a lot. Some dirigents protecting some dopers? It happened too. But the top politicians don’t know the difference between a 200breast and 200medley. They are very busy counting they money to care. Unfortunately, there are even some people who think swimming is a very expensive sport because it needs a big pool and wastes a lot of water. I should clarify I never accused them of state-sponsored doping. I was more makin the refernce of the quantity being high enough to compare the amount of positives to those countries eventually. That’s because cross contamination and negligence do exist, not everyone that fall in the test is a dirty dopper that must burn in hell forever.